Sebastian Bender composes and produces music for advertising, trailers, films and video games. His music embraces a variety of styles, ranging from epic soundtracks to pop or electronic music. Fascinated by music from early on, Sebastian began playing the piano at age 9. To nurture his passion, he later decided to study Popular Music and Media at the University of Paderborn / Musikhochschule Detmold in Germany and graduadet with a Bachelor of Arts degree in 2011. His work has been featured around the globe, including France's Canal+ („Oeil de Links“), ZDF.kultur in Germany („Pixelmacher“), Deutsche Welle TV („euromaxx“), South African channel Vuzu („The Verge“) or international gaming channel Ginx TV („The Blurb“). Furthermore his work appeared on popular blogs and websites like TheSun.co.uk, Kotaku, Nerdcore, Golem.de and many more. 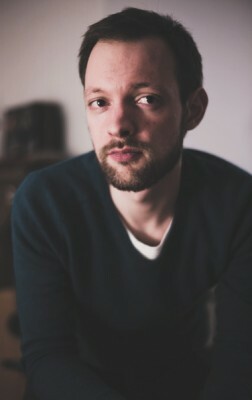 Additionally Sebastian has been involved in several band projects throughout the years, performing and writing music. He became familiar with many different styles and genres, as well as their respective composition techniques.